Douglass A. Kreis, a partner with the firm, received his B.A. degree from Mercer University – with a Major in Political Science and Minor in English, attending under a four-year academic/athletic scholarship, and his Juris Doctorate from Cumberland School of Law. While in law school, Mr. Kreis earned the distinction as Cumberland’s 1997 National Environmental/Toxic Tort Law Conference Representative (Washington, D.C.). After gaining significant trial advocacy and legal briefing experience through Cumberland’s Trial Advocacy Program/Moot Court Competitions, Mr. Kreis accepted a prestigious internship with future Alabama Supreme Court Justice, Michael Bolin. Over the past fifteen years, Mr. Kreis has dedicated himself towards seeking justice for clients injured by defective pharmaceutical drugs and medical devices – successfully representing thousands of clients in litigation throughout the country. After initially focusing his efforts on pharmaceutical drug related claims against Wyeth (now Pfizer) (diet drug related valvular heart disease and primary pulmonary hypertension), Bayer (Baycol related rhabdomyolysis), Ephedra Dietary Supplements (Heart Attack & Stroke Litigation); and GlaxoSmithKline’s diabetes drug Avandia, Mr. Kreis expanded his practice to include complex medical device defect claims. Mr. Kreis has successfully pursued failed medical device claims against major manufacturers including: Smith & Nephew (Profix/Genesis knees), Zimmer (Durom hips), Stryker Orthopedics/Howmedica (Trident and Rejuvenate / ABG II hips); Bausch & Lomb (ReNu) and American Medical Systems (AMO) (contact lens solutions); AM2PAT (contaminated heparin syringes); Davol & CR Bard (Kugel hernia mesh) and Transvaginal Mesh manufactured by: Mentor; Johnson & Johnson; American Medical Systems; Bard; Covidien; Coloplast; and other manufactures. Most recently, Mr. Kreis was appointed by Judge Clay D. Land, of the Middle District of Georgia, as Co-Lead Counsel over the transvaginal mesh related Multi-District Litigation IN RE MENTOR CORP. OBTAPE TRANSOBTURATOR SLING PRODUCTS LIABILITY LITIGATION MDL Docket No. 2004 4:08-MD-2004 (CDL). Within this role, Mr. Kreis has actively litigated a large docket of cases, while assisting law firms around the country with the over-all prosecution of claims against Mentor Worldwide, a subsidiary of Johnson & Johnson. Mr. Kreis has help other important positions on Plaintiffs’ Executive and Steering Committees including: In re: Stryker Rejuvenate and ABG II Hip Implant Products Liability Litigation, MDL Docket No. 2441; and In Re: Biomet M2A Magnum Hip Implant Products Liability Litigation, MDL Docket No. 2391. Today, Mr. Kreis is focused on the following matters: Metal Hip Litigation (DePuy – ASR & Pinnacle, Biomet – Magnum, Wright – Conserv & ProFemur Z, Smith & Nephew – R3 and Stryker/Howmedica – Rejuvinate & AGB II); Metal Knee Litigation (Zimmer NexGen Litigation); and Transvaginal Mesh Litigation (Johnson & Johnson/Ethicon, Bard, Boston Scientific, American Medical Systems, Coloplast, Caldera, and Tyco Healthcare). Mr. Kreis is admitted to all Florida state courts, the Northern, Middle and Southern District Courts of the United States; the 11th Circuit Court of Appeals; District Court of Colorado; and the Western District of Michigan. 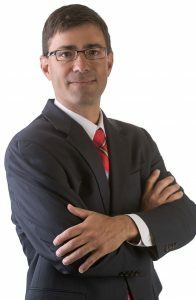 Mr. Kreis has also appeared (pro hac vice) and litigated in courts throughout the country including: Alabama, California, Georgia, Indiana, Kentucky, Massachusetts, Mississippi, Minnesota, New Jersey, New York and Pennsylvania. 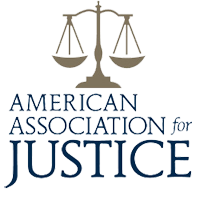 Additionally, Mr. Kreis is a member of the American Bar Association, the American Association for Justice (Co-Chair of Metal on Metal Hip Litigation), Former President of the First Circuit Trial Lawyers Association and the Escambia-Santa Rosa County Bar Association.